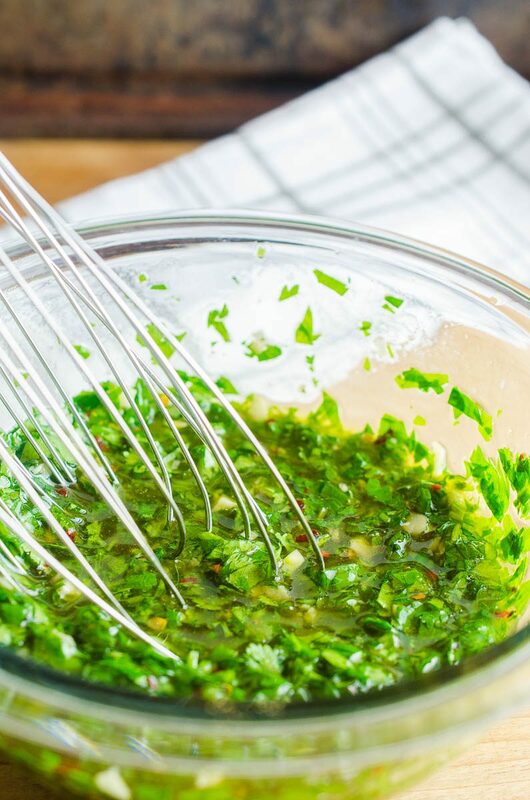 Chimichurri sauce is a classic Argentinian condiment. 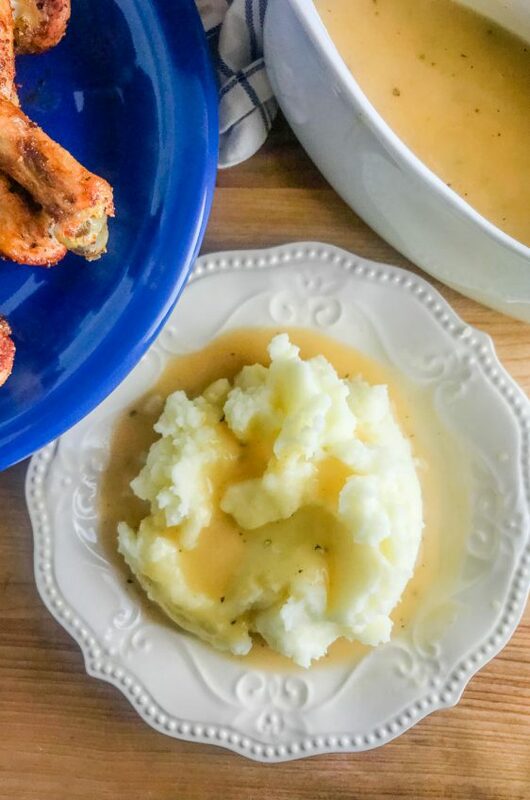 It’s flavorful, versatile and can be ready in about 5 minutes. You’ll want to put it an all the things! When it comes to condiments, I’m pretty much a fan of them all. 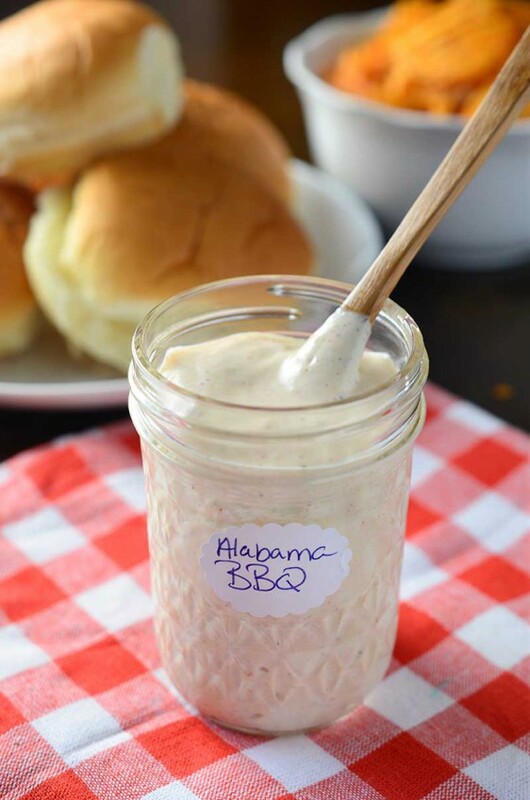 From Tartar Sauce, to Burger Spread, Habanero Hot Sauce to Alabama White BBQ . I love adding sauces to things. 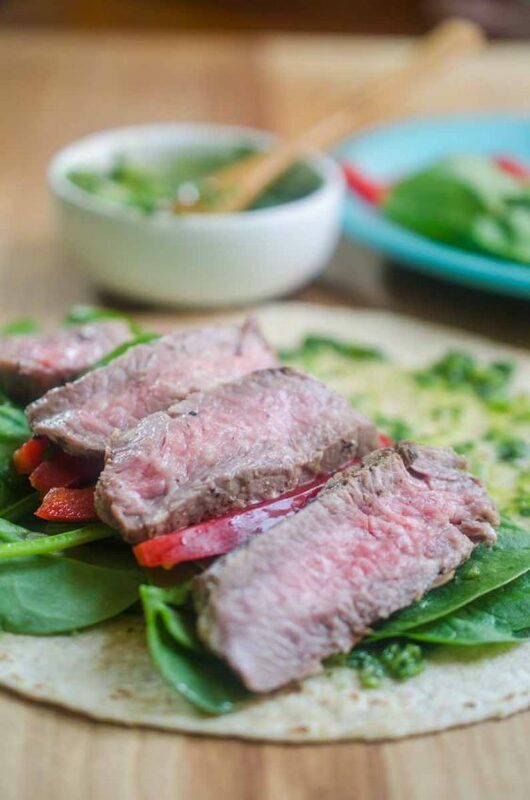 Chimichurri is one of my all time favorite condiments when it comes to steak, grilled chicken, shrimp and even tacos. 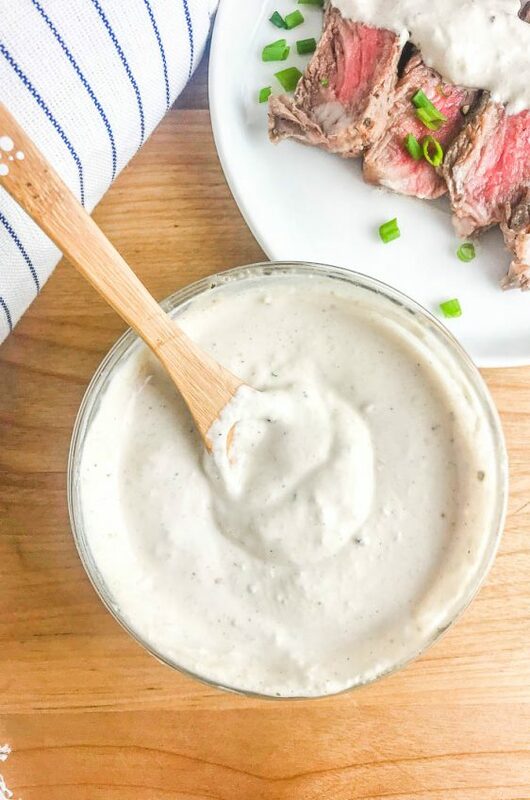 And one of the best parts about this sauce, is that it comes together in a flash. 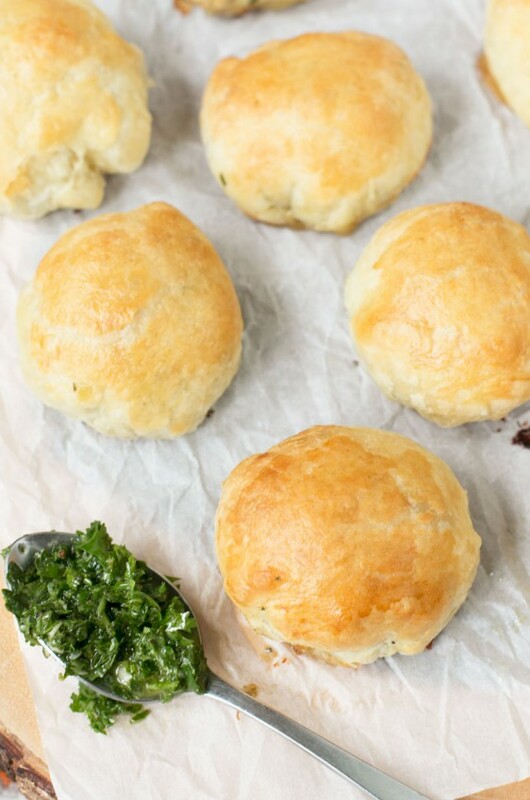 You need a few ingredients and about 5 minutes and you’re all set. 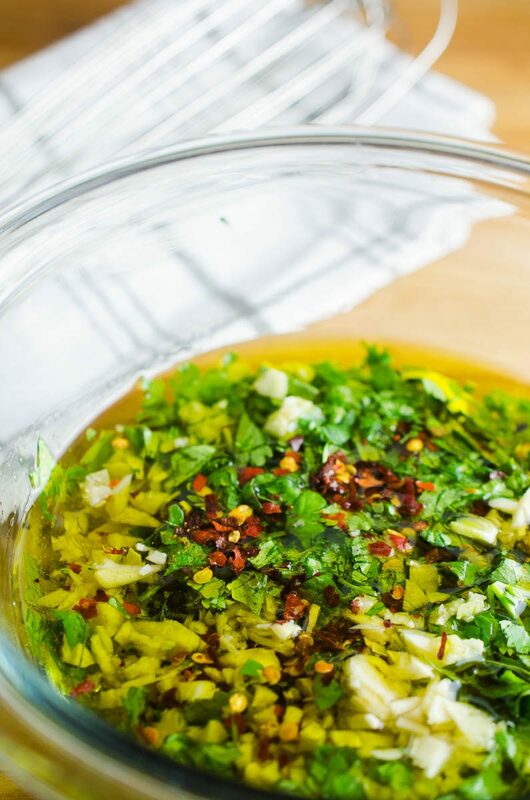 Chimichurri sauce is made with cilantro, parsley, olive oil, vinegar, garlic and a few seasonings. I like to add crushed red pepper too for a little heat but you can leave it out if you like. 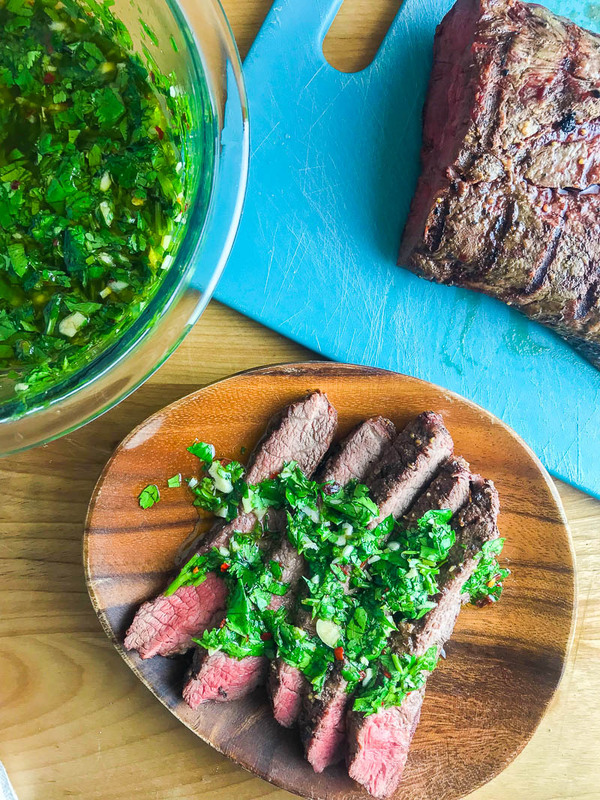 When I first made chimichurri sauce, I made it in a food processor and got more of an emulsified sauce. It was good, don’t get me wrong. But the more traditional way is to simply chop everything up very fine and mix it together so the sauce is a bit chunkier. That is what I do for this chimichurri sauce recipe and it works perfectly. And is so easy. Not to mention, you don’t have to clean the food processor. Less clean up is always a good thing, am I right? 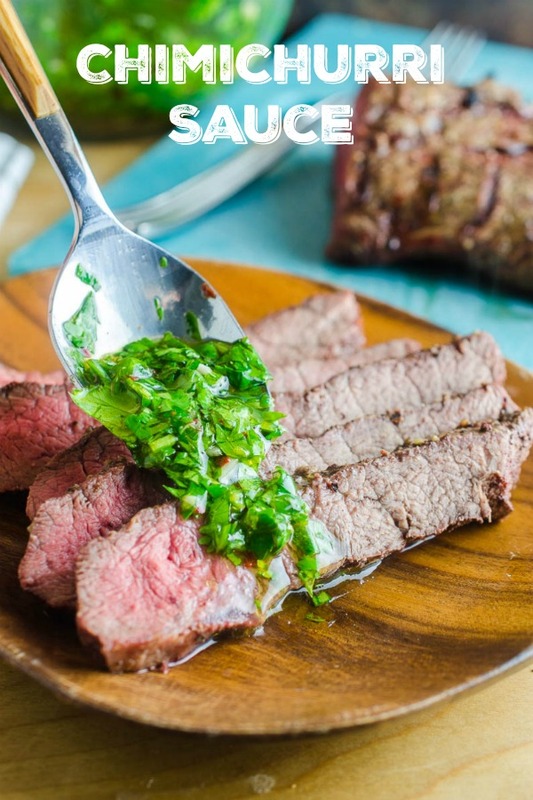 Can you refrigerate chimichurri sauce? Yes! You can. 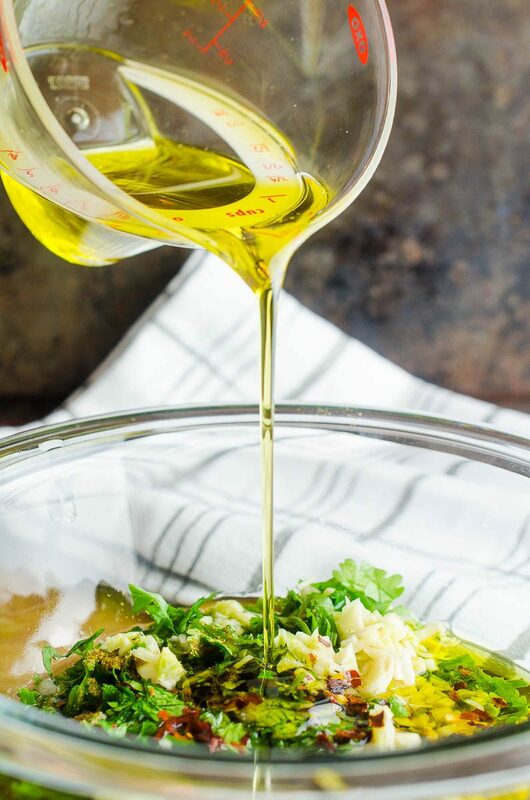 The oil will coagulate though so the best thing to do is remove it from the refrigerator at least 1 hour before you wan to use it so that it has a chance to come to room temperature. 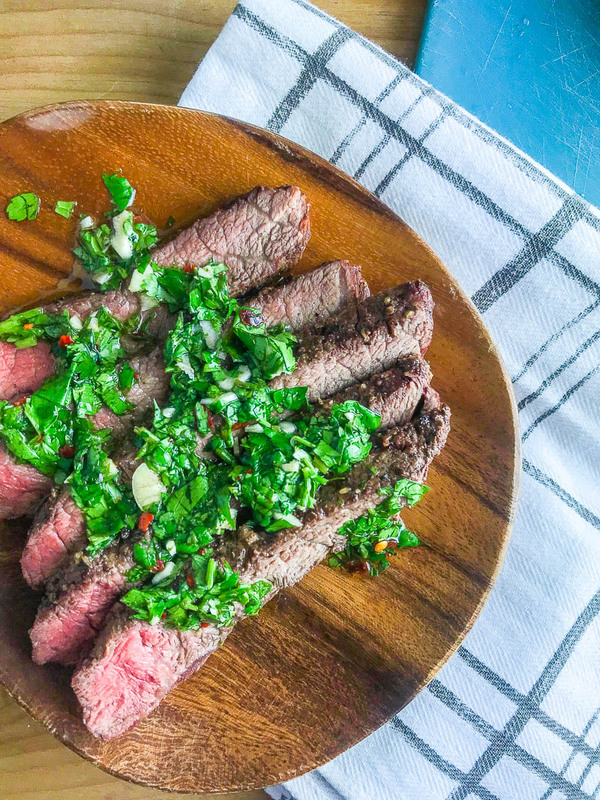 I LOVE putting chimichurri on steak. It is also great on grilled chicken or fish. 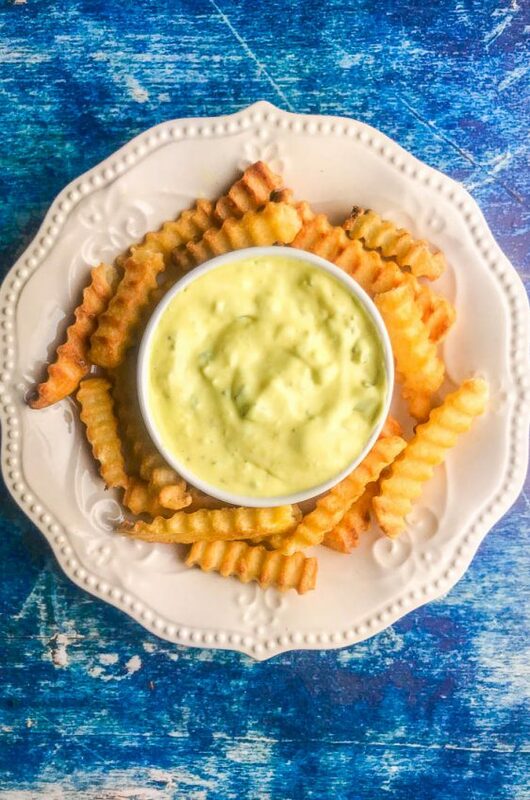 A drizzle over fries would be fabulous. And tacos. Because tacos. Combine all ingredients together in a bowl. Whisk to combine. Allow to set for at least 10 minutes to let flavors develop. Even better if you can wait an hour. Store leftovers in the refrigerator and use within a few days. Bring to room temperature before serving.